As one of our would-be most-anticipated performers at the ultimately rained out Pilgrimage Festival last fall, we were initially sad to miss a chance to see west coast indie folksters Lord Huron in support of their fantastic recent effort Vide Noir, but thrilled when, not long after, the group announced a two-night return to The Ryman Auditorium, April 21 with Michael Nau and April 22 with Faye Webster. One of our absolute favorite live acts, and a band whose career we’ve had the pleasure of watching grow since their absolute earliest days, Lord Huron’s sound and style manages to evolve and impress with each passing release, and since first graduating to the Mother Church a few years back, there’s nowhere else in town we’d rather see them play. Tickets to both shows are available here (4/21) and here (4/22) while they last, and we’re excited to announce that we’re also giving away a pair of tickets to the April 21 show as well! Read on for more about the lineup, and enter for a chance to win below. What initially began as a solo vehicle for frontman Ben Schneider, LA indie folk outfit Lord Huron quickly generated buzz for their early work and debut full band album, Lonesome Dreams, in 2012. Envisioned as a sort of artsy, wistful, urban cowboy aesthetic (a motif they’ve evolved beyond), the band have always meticulously matched their image to their sound, which, across two more full-lengths, 2015’s phenomenal Strange Trails, and, most recently, last year’s Vide Noir, has explored some unexpected and expansive territories. We’ve watched this group grow from the earliest days, including a 2012 stop at The High Watt, and no matter the size of the stage, festival, or wherever they might play, they’re always a magical experience- particularly at the Mother Church. Maryland singer, songwriter, and multi-instrumentalist Michael Nau, perhaps best known last decade for fronting indie, folk, and psych tinged groups Page France and Cotton Jones, has been forging an impressive solo career since beginning to record under his own name in 2016. Built from a selection of several years’ worth of written material that was never fully realized, Nau’s debut, Mowing, arrived through Suicide Squeeze, channeling the sounds of his former projects but with a more personal and earnest bent. Michael’s output since has been prolific, with sophomore effort Some Twist arriving in 2017, and his latest, Michael Nau & the Mighty Thread, dropping last year, and adopting a more dreamy, reverb-soaked indie pop sound. A seasoned and versatile performer who’s already building a respectable solo catalogue, Nau is a seriously compelling reason to be punctual. Enter to win tickets by filling out the form below. If you experience any trouble with the contest widget, or have any questions, feel free to email us at [email protected]. Winner will be announced Thursday, April 4 at 12 p.m. CDT, and will receive one pair of tickets to the Sunday, April 21 show only (note: tickets cannot be exchanged or redeemed for entry to the Monday performance). Good luck! 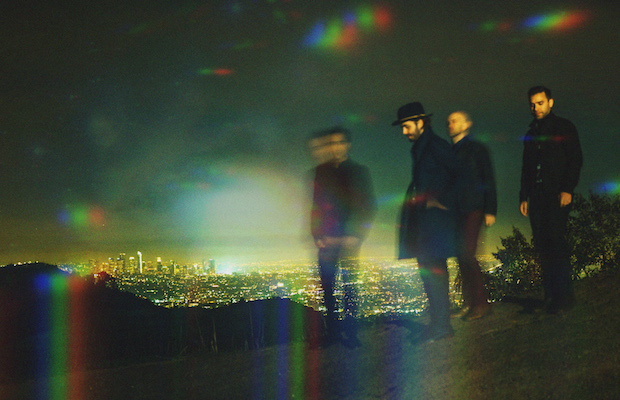 Win Tix to Lord Huron 4/21 at The Ryman! Lord Huron will perform at The Ryman Auditorium Sunday, April 21 with Michael Nau and Monday, April 22 with Faye Webster. The shows are all ages, begin at 7:30 p.m., and tickets are available to purchase here (4/21) and here (4/22). ‘East Nashville Tonight’ Screening At The Belcourt Tonight!